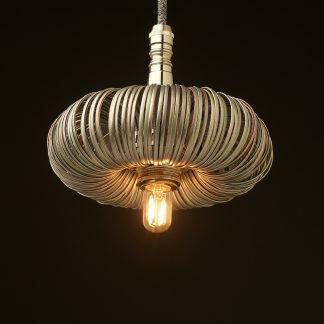 The Brass Orion Pendant is made up from 258 aluminium can ring pull tops assembled in a series of six tabs. These are held together with cable ties. As the aluminium tabs are soft and flexible, the inside of the Orion’s shape is then reinforced by a decorative club and round steel sheet that has been achieved by having it riveted, keeping up with MXC’s foundation of everything being mechanically built. 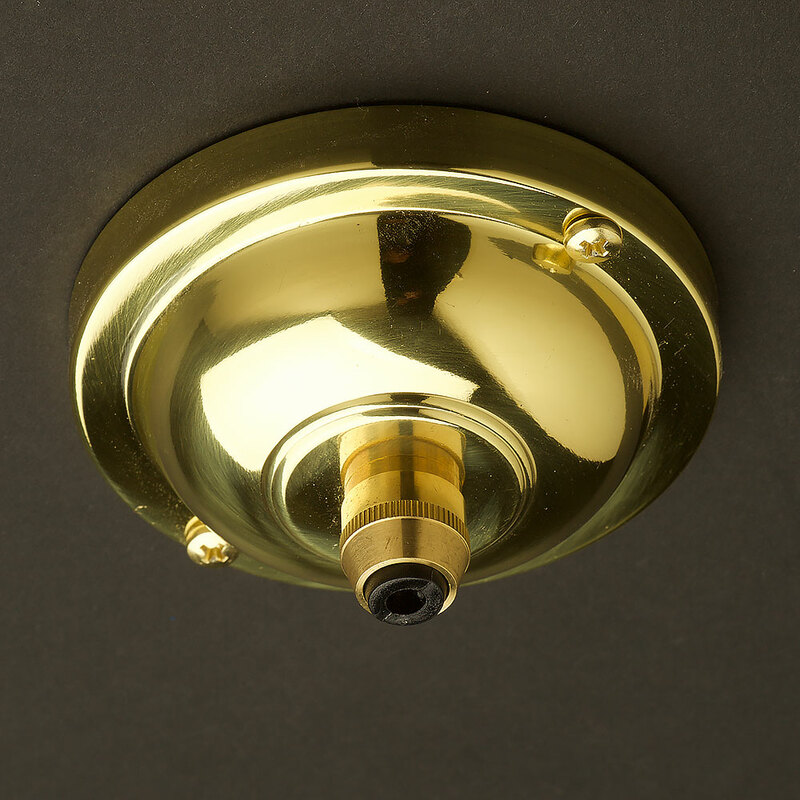 This circular component is then powder coated clear brass. The polished brass bar that is in the middle of the circular shape splits up the circle perfectly. 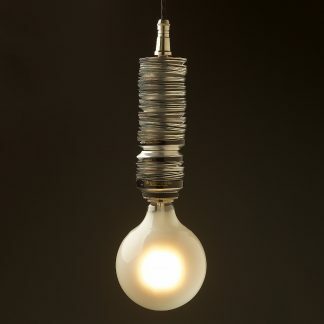 The pendant pictured uses an E40 lamp holder with a special cord grip component and Black braided cable. New Brass Lamp holder Edison E40 fitting, 240V, with new surface brass body, ceramic insert and insulated thread and screw terminals. The Cord Grip mechanism insures that cable can not be pulled out of the connection terminal. This lamp holder is an earthed system that requires 3 core flex and needs to be wired to earth. Includes nickel plated 90mm ceiling rose. Orion Light comes as a complete pendant. Any E40 globe will fit this pendant, pictured here with a Goliath A165 LED. Choose from the range of options at Edison Light Globes. Globes not included. 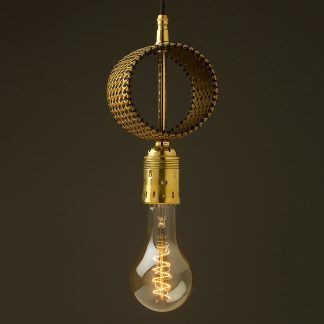 All fittings and accessories supplied by Edison Light Globes. 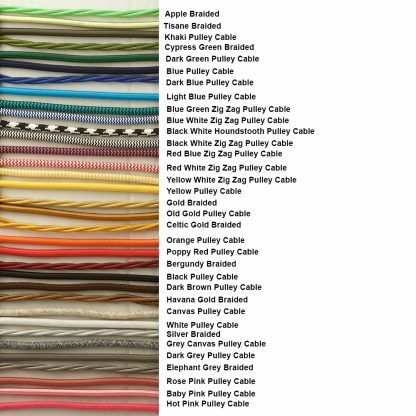 Each element of our lighting is of exceptionally high quality and resistance.